How much is Lauren Manzo Worth? 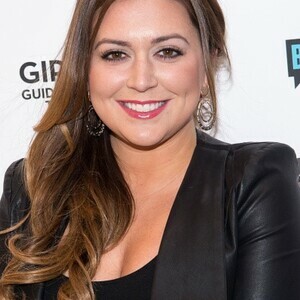 Lauren Manzo net worth: Lauren Manzo is an American reality television personality who has a net worth of $1 million. 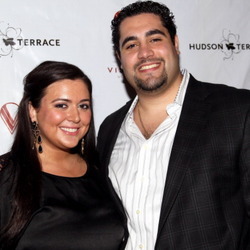 Lauren Manzo was born in 1988 to Caroline and Albert Manzo, co-owners of The Brownstone and former cast members of The Real Housewives of New Jersey. The family now appear on the Real Housewives spinoff, Manzo'd with Children. Lauren Manzo is the owner of a New Jersey beauty bar called Cafface, which is in the beginning stages of growth in the region. Lauren became engaged to her fiancé Vito in November of 2013, and was married in July of 2015. Vito, who is brother Albie Manzo's best friend, reportedly jumped through some hoops to balance his friendship with Albie with his love for Lauren. Aside from her appearances on RHONJ, Lauren made entertainment news when she dropped twenty pounds just before sensationalizing her adventure of shopping for a wedding dress, which ultimately ending up being a Vera Wang number. U.S. Weekly reported that Lauren visited the Vera Wang Bridal House on Manhattan's Upper East Side and found her perfect dress with the help of her mother, her cousin Candice Laurita, and friend Laura Edria. Lauren's wedding was held at The Brownstone (an historic landmark in Paterson, New Jersey) and was documented during season two of Manzo'd with Children.